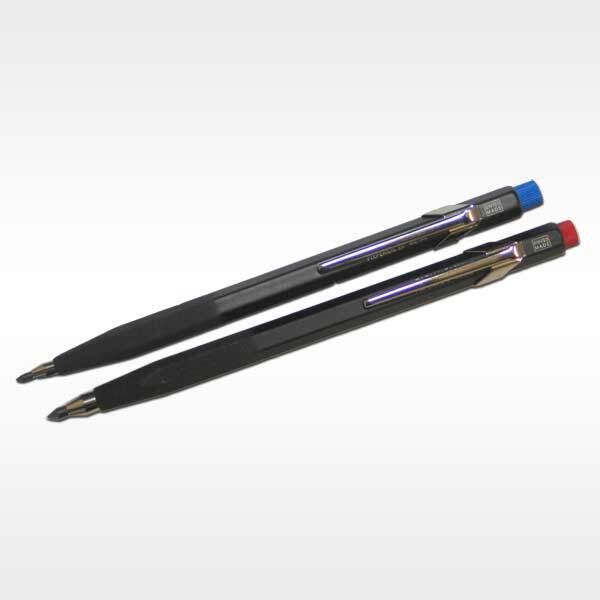 5" Enameled clutch pencil with push button action and sharpener. Sandblasted front for improved grip. In models for 2mm and 3mm leads. Comes with 1 HB lead. Ken Bromley's replies: The sharpener is incorporated in the push button.